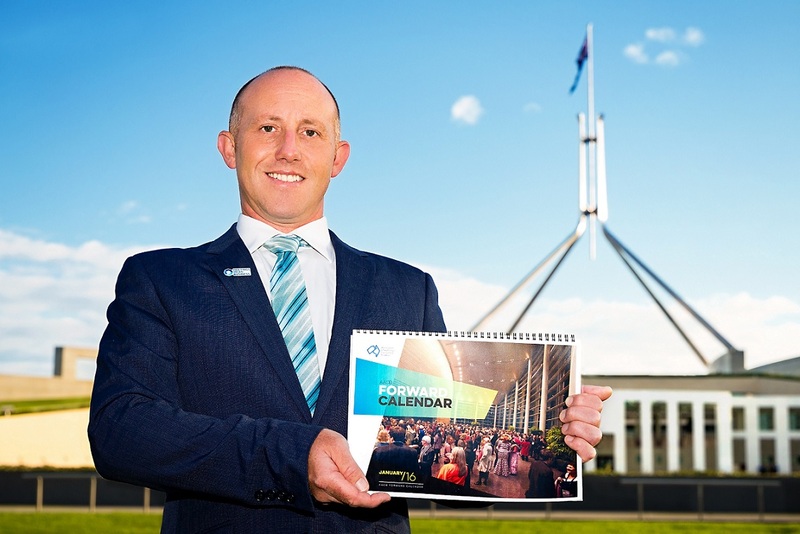 Australia’s key representative body for the business events industry, the Association of Australian Convention Bureaux (AACB) kicked off Global Meetings Industry Day today by delivering a copy of its Forward Calendar report to the nation’s parliament in Canberra. AACB CEO Andrew Hiebl presented a copy of the report to staff of tourism minister Senator Richard Colbeck, who is today marking Global Meetings Industry Day in Shanghai, China, at the Business Events Australia Greater China Showcase. The Forward Calendar is the most comprehensive audit of future business events attracted to Australia ever produced and comes after an unprecedented data sharing exercise between the nation’s convention bureaux. Further, 54% of association meetings and conventions include a trade/exhibition component. The Australian government is facing a federal election this year and the AACB is calling on the government to commit to a bid fund to help our convention bureaux secure more international business events for Australia. With professional development of Australia’s workforce directly benefiting from business events through exposure to international expertise, networks and best practice, such an investment by government would directly target industry growth and jobs of the future. “We recognise the minister’s efforts in China today, but seek a financial commitment to support bringing business events of national significance to the country”.